The 3000EZ-E Coating Thickness Gauge is a precision instrument that provides fast, non-destructive, accurate coating measurements on steel and non-ferrous metals. 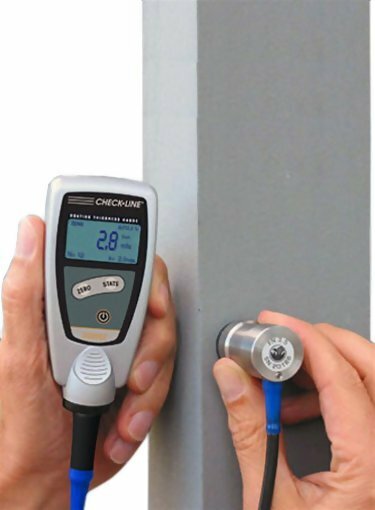 The 3000EZ-E Series Coating Thickness Gauge is designed for testing non-magnetic coatings such as varnish, paint, enamel, chrome, copper, zinc, etc. on steel and iron (magnetic induction method) and all electrically insulating coatings, such as varnish, paint, anodizing coatings on non-ferrous metals, also on stainless steel (eddy-current method).